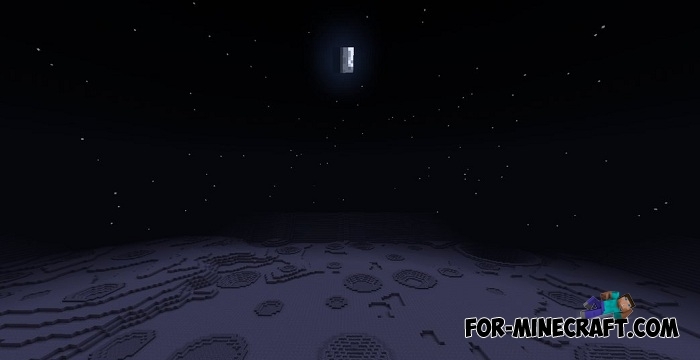 Especially for Moon Colonization or other Moon maps in Minecraft. 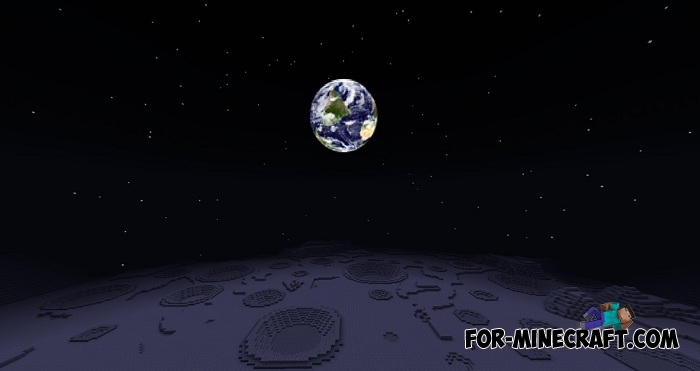 This pack consists of only one texture designed for the Moon, namely it replaces the Moon on Planet Earth. Why, you ask - the answer is simple enough. If you play maps where the main mission is to survive on the moon or something related to the Moon then it's more logical to see the Earth while on this satellite of our planet. This is a qualitative texture of the Earth replacing the Moon, so now you will see your native planet during night travel or rest on the roof of your house. How to install Planet Earth? Moon Colonization map for MCPE 1.2Mankind has learned to fly and managed to conquer the space. You as one of the researchers went..